); } } ``` --- class: middle, center, brown # 8. Immutability An immutable object is an object whose state cannot be modified after it is created --- ## Immutability A component that only uses immutable data is called a **pure component**. --- ## Immutability A component that only uses immutable data is called a pure component. By only using immutable data, we can **very quickly** check which props have changed. --- ## Immutability A component that only uses immutable data is called a pure component. By only using immutable data, we can very quickly check which props have changed. 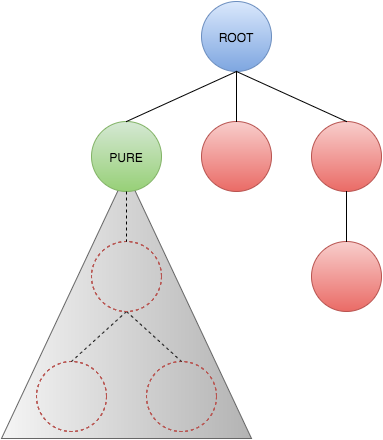 If none have changed we can **bypass rendering** and reuse the last virtual DOM subtree. --- ## Immutability A component that only uses immutable data is called a pure component. By only using immutable data, we can very quickly check which props have changed. 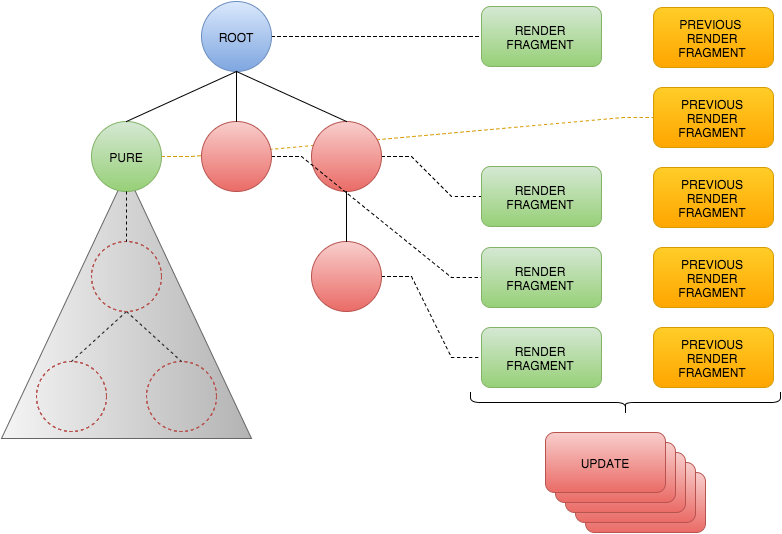 If none have changed we can bypass rendering and reuse the last virtual DOM subtree. This can happen for **every component**! --- .aside[ Source: https://jurassix.gitbooks.io/dataflow-through-react/content/render/pure.html ] --- .aside[ Source: https://jurassix.gitbooks.io/dataflow-through-react/content/render/in-depth.html ] --- class: middle, center, brown # 9. Hot reloading --- class: hot-reload, contain --- class: hot-storybook, contain --- class: middle, center, brown # 10. AWESOME! ## So should we rebuild everything in React?